On this page you will find links* to kiting resources in New England and beyond: Competitive leagues, kite building plans, instructions, member pages, workshop providers, and kite flying fun. www.easternleague.net Eastern League Sport Kite assoc. NEKITE Yahoo Group Email list: NEKITE is not owned or operated by Kites Over New England. It is however a great place to get up to date information about kites and kite events. or Type http://groups.yahoo.com/group/NE_kite/join into the address bar of your browser. http://lists.funonastick.com/listinfo.cgi/nepowerkites-funonastick.com- A mailing list set up so all the NE powerkiters enthusiast can work out times to get to the parks, beaches, or whatever. The Power Kite Forum... is an international discussion board for kite traction enthusiasts to share information and experiences regarding kite traction sports. We discuss topics related to kite surfing, kite boarding, kite buggying, kite skating, kite landboarding, kite snowboarding, kite skiing, kite jumping etc. providing insight and advice. Have a question regarding power kites or kite traction sports? Something to brag about? Kiting photos or a new website to share? Join our online community and connect with power kiters around the world! *All links we provide are resources to a wide range of kite resources. This does not mean the members of KONE or the Members of the KONE Board of Directors officially endorse any of the organizations associated with the links provided. The only officially endorsed link is the AKA because we are an affiliate club of the AKA. Please use responsibly and consult many sources before making any decisions or attempting any kite activity that you are new to. 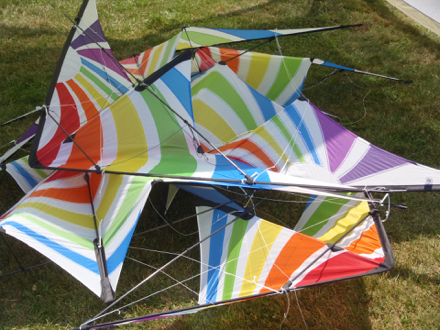 We are especially concerned about safely flying power kites and large show kites, but even a basic kite can be dangerous if not used correctly.